Th e village of Tsari and the surrounding areas are among the most sacred places in Tibet. It was there that the Most Venerable Khenc hen Rinpoche Konchog Gyaltsen was born in the spring of 1946 and spent his early years. In 1959, the family fled to India and settled in Darjeeling, where he began his education. Later in October 1967, Khenchen Rinpoche was one of the first students at the new Buddhist University – Central Institute of Higher Tibetan Studies in Varanasi, India. In early 1968, he had the good fortune to take full monastic ordination from the great Kalu Rinpoche and, shortly after graduating from the Institute, he received teachings from the 16th Gyalwa Karmapa on The Eight Treasures of Mahamudra Songs, by the Indian mahasiddhas. Rinpoche sought out and received teachings and instructions from the Venerable Khunu Lama Rinpoche, with whom Khenchen Rinpoche studied two works of Gampopa – The Jewel Ornament of Liberation and The Precious Garland of the Excellent Path. Rinpoche’s studies with the Venerable Khunu Lama also included Mahamudra and many of the songs of Milarepa. 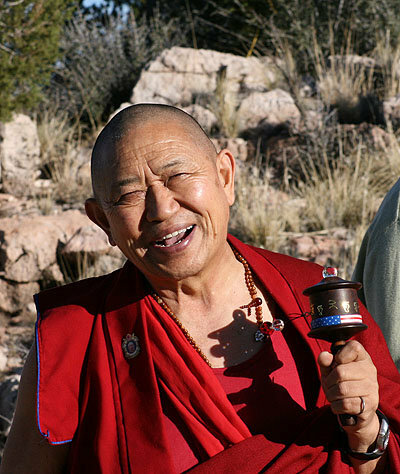 Rinpoche began a three-year retreat in 1978 under the guidance of the enlightened master Khyunga Rinpoche. During this time, he was able to deepen and enhance his understanding of The Five-fold Path of Mahamudra and the profound Gong Chik text of Lord Jigten Sumgön. He also received many other transmissions. In 1985, Rinpoche traveled to the main seat of the Drikung Kagyu lineage, Drikung Thil, in Tibet. There, he was able to receive personal blessings, as well as instructions and transmissions of Mahamudra and the Six Yogas of Naropa, from the enlightened master Venerable Pachung Rinpoche. 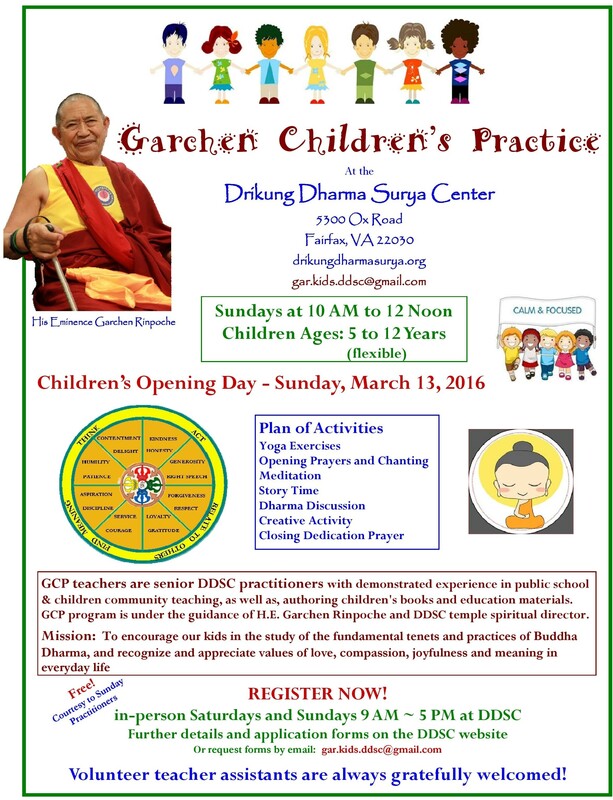 In 1982, Khenchen Rinpoche came to the USA and founded the Tibetan Meditation Center in Washington, DC. In September 1984 and again in 1987, TMC was blessed with personal visits and teachings by His Holiness the 14th Dalai Lama. In 1987, H.H. Drikung Kyabgon Chetsang Rinpoche visited TMC. During this time in DC, Khenchen Rinpoche led the Tibetan Text Translation Project which is responsible for most all of the practice texts in use today at TMC and other Drikung Kagyu Dharma Centers. 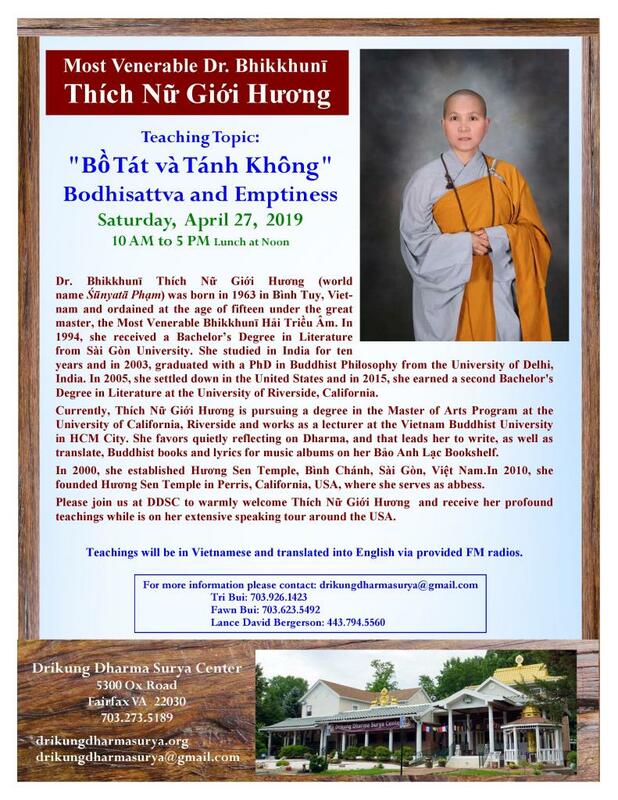 The Tibetan Meditation Center moved to Frederick, Maryland in November 1991 and expanded the modest house into the present Dharma Center with the excellent shrine room that we now enjoy. In the years since, TMC spawned many more Dharma centers throughout the USA, and many wonderful lamas from the Drikung Kagyu lineage have visited TMC to give their magnificent blessings and teachings. 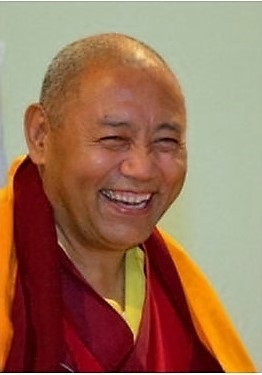 Rinpoche consistently strives to make important texts available to the public and to provide his students with thorough and systematic training in the Dharma. Prayer Flags, The Garland of Mahamudra Practices, In Search of the Stainless Ambrosia, and The Great Kagyu Masters are publications authored by Rinpoche while he was still a Khenpo. He also translated and published Lord Gampopa’s greatest work – The Jewel Ornament of Liberation. Since 2000, several other books and commentaries have been published by Rinpoche. Rinpoche was enthroned as Khenchen in 2001 by H.H. the Drikung Kyabgon Chetsang Rinpoche in Jang Chub Ling Monastery in India. Remembering the struggles of his early years, Khenchen Rinpoche inspires and supports monks, nuns and lay people in their practice of the Dharma and is always ready to assist them in whatever way he can. To all, he gives of himself freely. With his heart and mind turned firmly toward the Dharma, he compassionately and patiently shows the way.